Your company's brand is a lot more than a logo and a tagline - it is an idea and a culture. Your brand is a means for communicating and connecting with customers, as well as a way to gain recognition. Your brand also gives you credibility. You can count us to adhere to these principles to enhance your brand. Welcome to the Society of Reliability Engineers (SRE). Through this website, you can contact the Society Officers, become better acquainted with other SRE Chapters, and discover other links of interest to the Reliability Engineer. 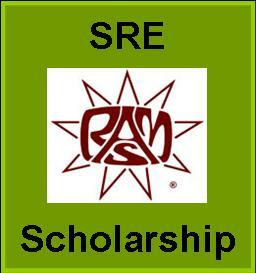 SRE offers up to two College Scholarships to students to attend RAMS each year. Information regarding the Scholarships can be viewed here. Membership applications can be downloaded here. Founded in 1966 in Buffalo, New York, with the intention of providing a forum for individuals of various organization to discuss mutual issues in the then new discipline of Reliability, the SRE has since become an international society with more than 20 chapters worldwide. The SRE and its chapters are not-for-profit, equal opportunity organization, providing member opportunities for professional development.